At K 2013 exhibition the two companies signed a cooperation agreement until 2015. There are more than 100 injection molding machines installed in Italy, Russia, Poland and Serbia and this is the result of the industrial cooperation between SIGIT and NEGRI BOSSI, who signed a strategic development agreement for 2013-2014 at K 2013, the international exhibition in Düsseldorf for plastic specialists. As partners for approximately 10 years, Negri Bossi – company of Sacmi and leader in design and production of thermoplastic injection molding machines – and SIGIT, leader in molding thermoplastic articles for automotive and appliance industry, are strengthening their relationship to increase their market share, particularly in new strategic areas such as Russia and North Africa. An agreement for the supply of injection molding machines for Tangeri Free Zone factory has already been signed, with SACMI and NEGRI BOSSI as the main contractors.In addition to the supply of machines, provision will also be made for the equipment required for material treatment and transportation. From Morocco to Russia, where it is foreseen plant will double in Kazan in 2015. 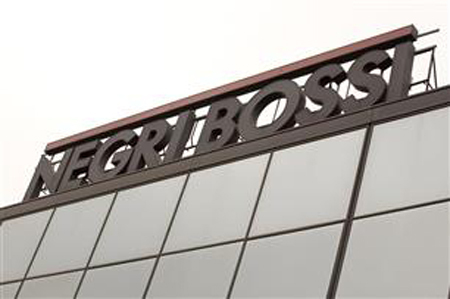 With a turnover of 80 million Euros and an 850 strong workforce, SIGIT represents a strategic partner for Negri Bossi. Sigit is also a direct supplier of FIAT, VW and RENAULT as well as partnering first class components companies such as Delphi, JC and Johnson Electric. The company has 5 production facilities in Italy as well as 4 other facilities spread among Russia, Serbia, Poland and Morocco. In order to meet the direct demand of car makers (Volkswagen, Renault and Fiat Chrysler) Sigit will install more than 30 machines of different tonnages in the next 2 years.Negri Bossi has been chosen as a strategic partner thanks to the introduction of new models throughout their hydraulic, hybrid and electric machine range, backed up by decades of experience in the injection moulding sector with machinery installed across five continents.